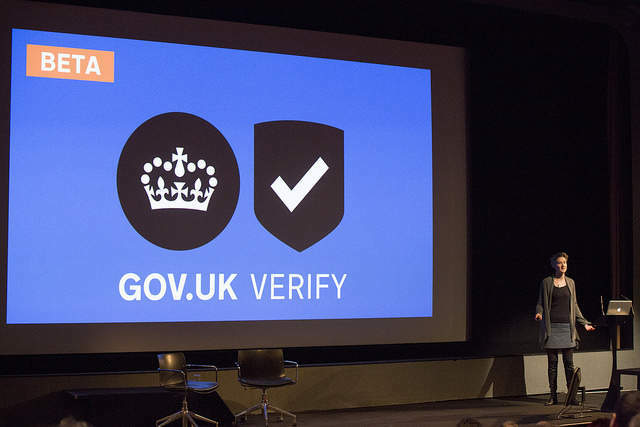 UK identity providers (IDPs) and hubs have spent the weekend weighing up their next moves after it emerged that the future of the GOV.UK Verify identity assurance scheme is under serious question by the government. It follows a report that the Infrastructure and Projects Authority (IPA) had conducted a review of Verify in July, and found Whitehall departments were reluctant to continue funding the project. The Government Digital Service (GDS) had reportedly submitted a business case to reset Verify. It has been suggested that that would require extra budget both for further development and for paying the IDPs who are at the heart of the system and whose three year contracts are set to end at the end of this month. But this does not necessarily square with the IDPs’ view. Despite this, those who have invested time in Verify have called on GDS – and senior government officials – to publicly back the scheme they made political capital out in the June 2017 general election, putting it in the Conservative Party Manifesto. It is a critical time for the IDPs, who only three months after hearing that the government was keen for the private sector to get involved in the Verify project, now hear reports that the scheme’s very future appears to be under threat. All the IDPs are currently in a commercially sensitive period with GDS as it continues with its design of the next phase of Verify. Life is even more difficult for the IDPs in that they are unable to comment on the latest threat to the scheme under the terms of their contract with GDS. Despite this, the IDPs might point to two issues that are pertinent to the future of Verify. The first is the public messaging from GDS regarding the business case approval, which was shared at the Sprint 2018 conference and the consistent messaging from GDS that they would share what that looks like in the coming months. The IDPs believe that the messaging has not changed. GDS has said the government will be setting out its approach to digital identity in the coming months. The IDPs’ view is understood to be that, in terms of the Infrastructure and Projects Authority’s view of Verify, which has been rated as ‘Amber’, “successful delivery appears feasible but significant issues already exist, requiring management attention”, rather than closing the scheme. It is understood that for the IDPs, there has been no other messaging from GDS that the scheme is under threat. The IDPs’ understanding is that GDS has its funding agreed, and it is now working out how to use it. The encouragement to the IDPs is to be patient and wait for the contracts. The other key area is what happens to the current 18 government services that use Verify, plus the three new ones that were recently announced: allowing applicants to sign a mortgage deed with HM Land Registry; allowing NHS staff to view their total reward statement; and availability, using Verify, for citizens wanting to add a pass with their driving licence information to their mobile phones. The IDPs might well question, if Verify disappeared overnight, what would happen to those 21 government services if there is no alternative in place for identity assurance. The IDPs might well argue that it is unlikely that the government would cut off such services overnight. So either Verify will continue to be used, or an alternative will need to be put in place. News of the government’s apparent lack of support for Verify has undoubtedly irked some in the identity space. Frank Joshi, managing director of the Mvine hub said, “Whereas the number of sign-ups and sign-ons for GOV UK Verify continues to increase the growth in volume compared to where it should be at this point in time can only be described as lazy. GDS has a commercial contract with each of the seven Identity Providers (IDPs). But arguably the seven IDPs might all feel they were ‘sold a pup’ because the volume of sign-ups hailed by GDS when the scheme was launched to them have simply not materialised. The lion’s share of those who have signed up seems to have gone to the Post Office because it, arguably, has the brand name and visibility which most citizens recognise and feel they can trust. Joshi pointed to the wider problem that in the wake of the British Airways data breach problem, citizens’ belief in the ability of any organisation to look after information about them has taken yet another hit. He argued that the British Airways data breach shows again how any system can attract attention from the wrong kind of people. “So-called ‘honeypots’ of data in which personally identifiable information is held is irresistible to hackers regardless the colour of the hat they wear. Coupled with payment card information it is a magnet for the highly organised criminal fraternity. It underscores again, should further proof still be needed, that centralised data-stores only add risk for companies. But is there an alternative? Yes. “Fragments of your identity exist across multiple systems and should only be instantiated at the point at which they are required with the full consent of the user and the context of the transaction,” said Joshi. It is understood that another issue to be addressed may concern the terms for any new contracts. The documents are already said to be with the IDPs for review. One specialist mused that if GDS wants IDPs to agree to different commercial terms, possibly more favourable to GDS and less favourable to the IDPs, it could herald a time where GDS insists on paying a greatly reduced fee, or stops paying the fees altogether. It could also require the IDPs to modify a Level of Assurance (LOA) that the IDPs have no interest in providing, such as “LOA0” or “LOA1”. This apparently already exists in the framework – but does not exist in Verify contracts yet. Government Computing understands that the master agreement provides for LOA1, LOA2 and LOA3 as possible services that the government might want to procure from IDPs, but at this stage, GDS is understood to only have contracts in place to buy LOA1 and LOA2. There is no ‘buy contract’ for LOA3 because GDS itself has not itself defined what LOA3 looks like. It is also understood that the private sector will need ‘LOA0’, and sources say it is likely this may emerge in the near future. However it is understood that this would probably not be defined by GDS because GDS does not have a need for ‘such’ a ‘light’ level of assurance. One long-term advocate of the scheme added his thoughts. He said, “Over the past years several titles have written articles predicting the imminent demise of GOV.UK Verify. And yet, Verify lives on. Is it time to ask why Treasury keeps funding the programme given all the complaints? He continued, “The internet was built for mass communication of information. But it was designed without a means of knowing who was responsible for the information being presented, or testing the validity of the information. The huge popularity of the internet has resulted in enormous value creation – and a large amount of that wealth has been acquired by fraudsters, criminals and terrorists. Of more recent public awareness, the problems of ‘fake news’ and interference with elections can also be pointed at the lack of an identity infrastructure. “People are beginning to recognise that ‘free’ internet services actually monetise identity and personal data. That places enormous power over the individual in the hands of those that control the personal data. Governments can create regulations like GDPR to try to rebalance that power. Or they can use their buying power in the commercial market to define and implement standards that give effective economic power to the individual. He admitted, “Yes, it has taken much longer than anticipated to reach 2.75 million issued digital identities. Yes, it has not been simple redesigning public services for a digital identity federation – but 21 services are now connected and many more are in the pipeline. “The first digitally signed mortgage shows the value of common identity verification standards being accepted within the public and private sector. This transaction removes a week – and much of the frustrating paperwork – out of a re-mortgage application process. Many more public/private sector transactions will be transformed once government frees up Verify to be adopted in the private sector. For example, if the UK is to prosper post Brexit there needs to be a better way for employers to know whether people are allowed to work in the UK. Back in May at Sprint 2018, GDS said it wanted to “take its hands off the control” on identity, and wanted to work with the private sector to help grow digital identity creation. In a briefing at the Sprint event, Nic Harrison, GDS’ director, Service Design and Assurance – who is now returning to the Department for Work and Pensions (DWP), leaving a separate question over Verify leadership – said that although he wouldn’t use the word ‘shifting’ in terms of identity position, he would be very open in explaining where GDS now was. He said, “…we have to accelerate what we’re doing with the private sector. Hence, I’ve been meeting with the identity providers (IDPs), having big conversations with them. Discussing the scenario of a company creating its own digital identity service that could then go into a process to become “Verify compliant”, Harrison said, “That’s the kind of thing where we want to have more conversations with the private sector. What the government wants is a ubiquitous digital identity for services in both the public and private sector. “In an ideal world, they would be truly interoperable, interoperable with Europe through eIDAS and even internationally though FIDO (Fast IDentity Online) and things Iike that. Interoperability and standards based is the key for us. We are not going to be in a position to be able to say, ‘We forbid your identity you’ve created.’ And there are lots of companies like Yoti that are already out there doing their own thing. And there’s a lot of personal data store type approaches. So all those things are valid. “What we would really like is everyone to coalesce around the same standards. Ultimately, the role of government, at least in the near term, is to be the arbiter of those standards so that we can all interoperate. If somebody was to set up their own hub and follow standards of Verify, then I would like to think they would be interoperable. Speaking a couple of weeks later at the Think Digital Identity for Government conference, Harrison called for more patience over the Verify scheme’s slow take-up, arguing similar schemes in other countries have taken up to six years to gain traction. Speaking at the same conference, former deputy government CIO, Bill McCluggage, who was the senior responsible owner (SRO) at the time the Coalition Government killed the ID Card programme, offered his thoughts, urging the Treasury to get behind the scheme. “So we created the identity assurance programme because the privacy lobby, in my view, were pivotal in killing off the national identity register and the ID card. There was another programme happening around the same time as the ID Card programme, which was called the Citizen Information Programme (CIP). But because those two buses were coming at the same time, the Home Affairs Select Committee killed off one of the buses, which was the ONS driven CIP. It very much would have echoed what Ireland has done under its public service card. On the same panel, however, blogger and digital identity campaigner David Moss, a long term critic of Verify, had a different view. He said, “People can carry on promoting GOV.UK Verify RIP and saying, ‘Come on, you’ve got to be fair. You know, it will all come right’ all they like but the figures don’t back that up. The question is why on earth we’ve had no progress at all since January 2001, 17 years ago. And I think there are several things that stand in the way. They are part of the ethos of the way people talk about identity in the UK. We just need to confront those obstacles, dump them and then I believe that we can make progress. Moss insisted, “What’s wrong with having multiple systems? Nature is our model and it happens in nature all the time, where the badly adapted loser species get killed off while plurality promotes survival.